This collection of noodle soup recipes offers some of the greatest comfort food dishes ever created. Noodle soups are enjoyed in many iterations by many cultures. The mighty Vietnamese pho is a favourite, but needn't always be beefy and rich. Thuy Pham of The Little Viet Kitchen offers up a fragrant, light chicken pho recipe for a beautifully delicate yet full-flavoured broth. Vietnam isn't all about pho, though, as Leyla Kazim proves with her spicy Bún bò Huế recipe. For something a little more rich, look no further than Peter Gordon's duck laksa recipe, a beautifully tangy and intense Malaysian noodle soup which is given a kick with plenty of tamarind. 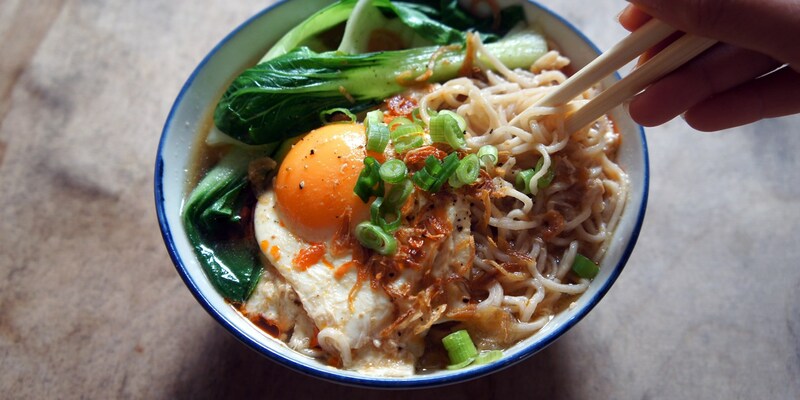 If you're after a quick comfort food fix, there's always ramen. Shu Han Lee's miso ramen soup recipe is fragrant, quick and just what you want when short on time but in need of a noodle fix.